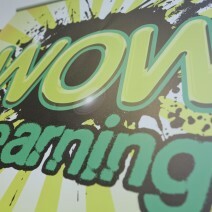 Wythenshawe Community Housing Group’s learning centre, the WOW Zone, has received a confirmed grant (£44,700) from the Heritage Lottery Fund (HLF) for the Roads to Wythenshawe project, it was announced today. Thanks to money raised by National Lottery players, the project aims to celebrate how immigration has, is and will continue to shape Wythenshawe by exploring oral histories of residents. Young people, aged eleven to sixteen, will investigate, celebrate and share the stories, food, arts, culture and religion that make up their local community and understand its social and historical context. Roads to Wythenshawe will be structured around three central themes that will scaffold the activities and direction of the project: journeys, connections to home and food. The project will produce several outputs that will share the heritage that has been unearthed. These include developing an augmented reality (AR) app in collaboration with Dr. Timothy Jung, the Director of the Creative AR and VR Hub at Manchester Metropolitan University, creating a virtual reality (VR) heritage trail, holding a world food celebration event, and producing art work in response to what they find, including visual arts and creative writing. The project will culminate in a two month exhibition at the National People’s History Museum. Wythenshawe’s housing estate is the second largest in the UK. It began life in the 1920s and was built to rehouse people from the industrial city centre of Manchester, and then quickly expanded after World War II. Traditionally, Wythenshawe has always been a predominantly White British community, but this is now beginning to change. This project will explore how and why people have chosen to journey to and settle in Wythenshawe over the years.